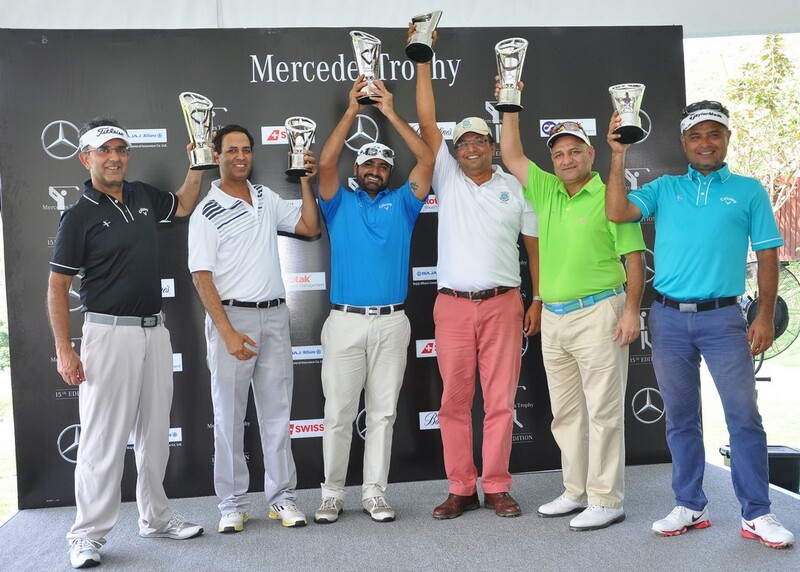 Mercedes India recently concluded the 15th annual edition of the Mercedes Trophy India National Final held at Oxford Golf and Country Club, Pune. Arvind Sethi from Pune along with Sandeep Garg and Anuj Khera from Delhi emerged as winners and will now be heading to compete at the Mercedes Trophy World Final at Stuttgart, Germany in October where they will be competing against winners from 600 tournaments played in 60 countries. This edition of the tournament saw a participation of nearly 2,600 partakers making it one of the country’s largest amateur tournaments. This allows the country’s golfers to rub shoulders with some of the best in the world. Internationally, this tournament attracts over 60,000 golfers. This round was preceded by qualifying play-offs at held at Bengaluru, Pune, Ahmedabad, Mumbai, Hyderabad, Jamshedpur, Jaipur, Bhubaneswar, Chandigarh, Kolkata, Delhi NCR and Lucknow. Amongst the finalists were former World Cup winning cricketer Syed Kirmani and noted industrialist Ratan Jindal. During the National Final, A Ramamurthy from Coimbatore was announced as the ‘Drive to the Major’ Straightest Drive contest winner, who will travel to the British Open Championship at St Andrews, Scotland this July and could win a round on the championship course the day following the tournament.